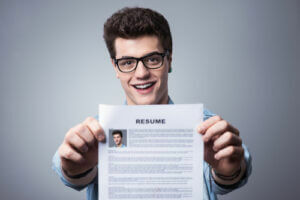 Effective Job Search – How to Impress through your Resume? Young smiling man holding his resume applying for a job. Photo courtesy of Shutterstock. What Does Body Language Say about People?